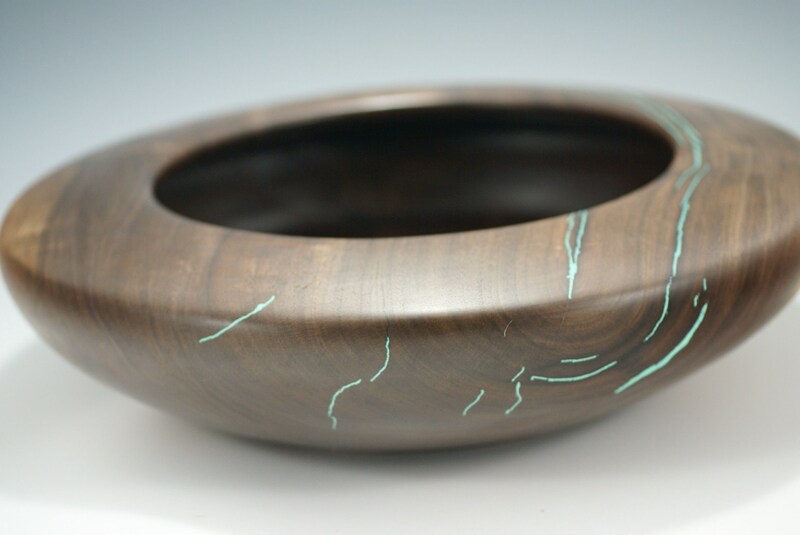 This is made from a piece of Oregon Black Walnut. 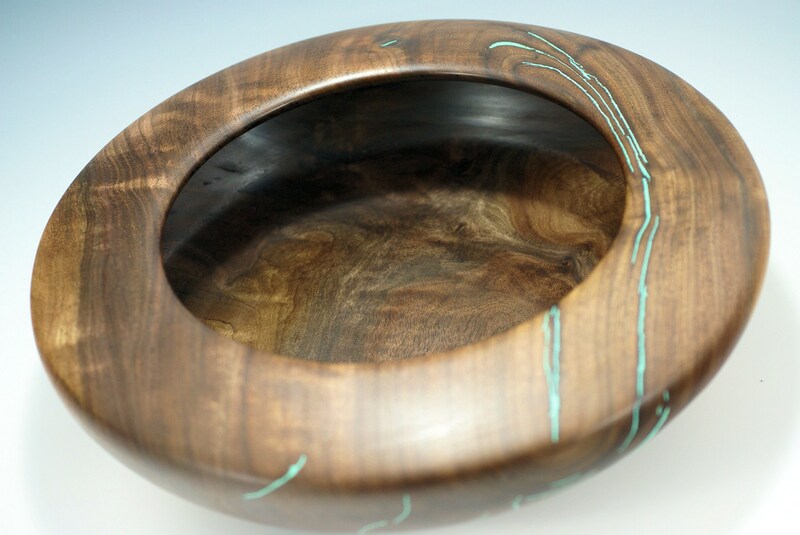 It was turned on my lathe with hand tools. After the turning it was sanded to 800 grit. 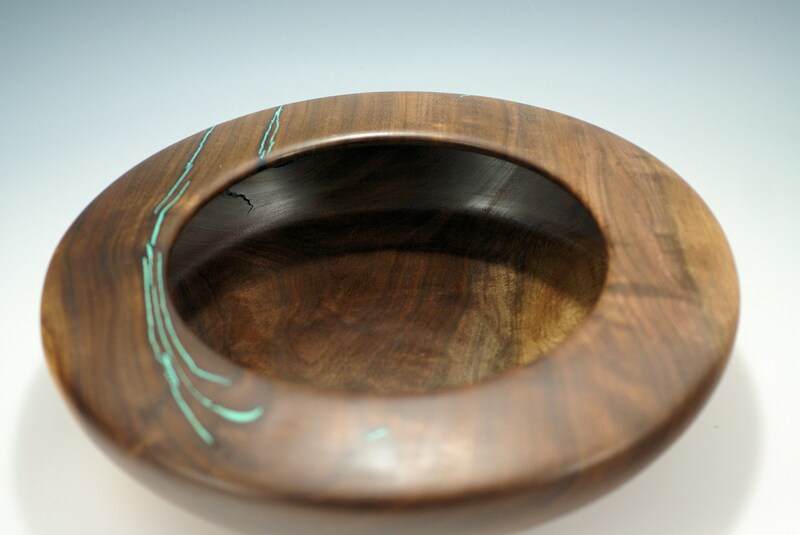 Then it was embellished with Turquoise Resin and sanded again. 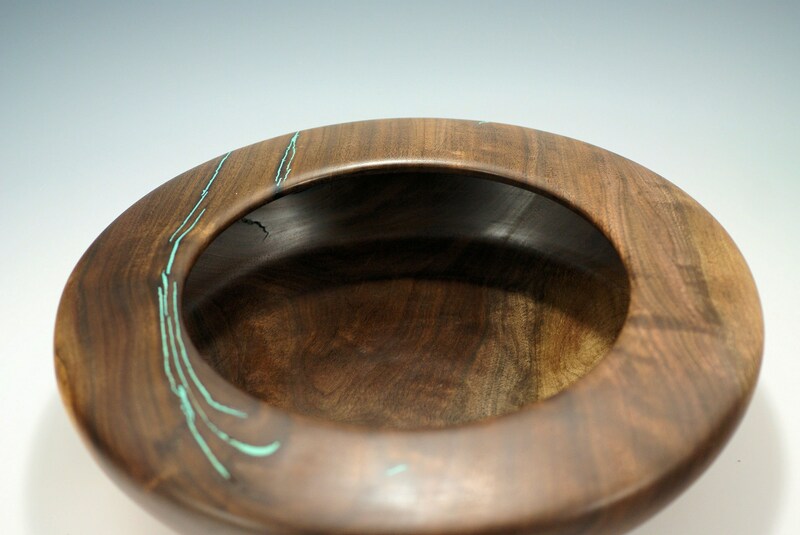 For a finish I used Walnut Oil, Carnuba Wax and Shellac mixture. I applied three coats and buffed the finish. This is a great centerpiece and will look great where ever you decide to display. Another great addition to your Art Collection. 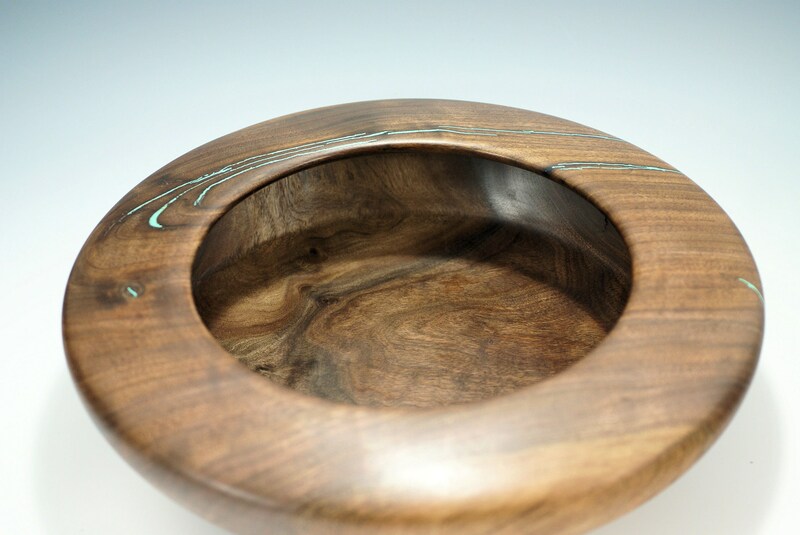 The bowl is 14" in diameter, 4" tall and weighs 2 lbs. 8 oz.